In business more than in any other field, Ph.D. students take on the challenge of continuing their education 4-5 years to become an expert in their field. Although a Ph.D. can be a great way to earn a high paying salary, and the respect of your peers, it can be difficult process. Many students set their sights on doctoral degrees without realizing they can be dramatically different from their previous experience at university – this where we can help you identify if a Ph.D. in accounting is the best choice for you. First of all, what’s a Ph.D.? 1 First of all, what’s a Ph.D.? 1.1 Who Should Get an Accounting Ph.D.? 1.2 How do you get in? 1.3 What can you expect after the Ph.D.? 1.4 The Pros and Cons of an Accounting Ph.D.
1.5 Where can you get a Ph.D.? A doctoral degree is first and foremost about research. The program can be completed within four years if you stay on track (but often takes longer) and typically includes two years of coursework, a comprehensive exam and two years of research work culminating in a dissertation. However, don’t expect a Ph.D. in accounting to be similar to your previous experience with the field. The coursework in a Ph.D. program will include subjects such as statistics, mathematics, economics and econometrics – all topics that can help you conduct groundbreaking research in the field. The second part of the Ph.D. will be focused on research. This will have nothing to do with the accounting courses at Bachelor’s or Master’s level. During your research project, you might be taking a behavioral approach to look at how companies and markets react to accounting changes and make financial decisions. Alternatively, you might be pursuing archival research (using archived data) with a strong economical, financial and statistical focus. You will need to research the interests of your prospective professors before you apply, as different universities will have different strengths. Who Should Get an Accounting Ph.D.? Although it can help with teaching, being a good accountant is not sufficient to make you a good Ph.D. candidate. You will need to genuinely enjoy school and learning, as you’ll be spending at least four years in an academic environment, reading and writing papers and analyzing endless streams of data. Matlab, R or Stata to get results out of difficult economic datasets. Ideally, you will also be enthusiastic about academic research and the academic world in general. Most people who pursue Ph.D.s in accounting go on to teach and research in academia – and while this can be extremely exciting to some people, it could turn out to be dull to others. To gain admission into a good Ph.D. program in accounting you need to hold a Bachelor’s degree and good GMAT scores (over 700 for elite universities). GRE scores may be acceptable as well depending on the school. Admission is competitive and schools will usually select only a few candidates per year out of many applicants. Knowledge of advanced math will put you at an advantage, but writing abilities will also be essential to getting your results published in the future. The application process will usually entail the submission of your transcripts and resume, as well as reference letters (academic, business or professional). You will also need to submit a personal statement outlining your personal objectives and motivation in pursuing a Ph.D., as well as your career goals. What can you expect after the Ph.D.? As professors retire and few people take the academic path in accounting, there is an increasing shortage in accounting faculty members. According to some estimates, every accounting Ph.D. graduate can choose between 10 positions and will often secure a six-figure starting salary. According to AACSB statistics, the average accounting Ph.D. holder in academia earns over $120,000 per year. What is more, a Ph.D. in accounting can also help graduates earn a higher salary in senior positions such as operations management (over $106,000) or managerial economics (over $90,000). While the qualification can also help you increase your salary or get promoted within your company, you have to consider the amount of time you need to spend in full-time education to get your Ph.D.. If your heart is not in the research, a Ph.D. in Accounting will be difficult to pursue. The Pros and Cons of an Accounting Ph.D. If you decide to earn your Ph.D., you’ll be part of a minority of about 3% of the population that holds a doctoral degree. A Ph.D. comes with prestige and can enhance your opportunities to advance in academia and at work; you’ll become an expert in your field and will gain more credibility as a professor, as a consultant, as a board member or author. Few other careers offer so much flexibility in terms of work schedule, while also providing a great work environment that will allow you to help young professionals and develop your field. However, getting a Ph.D. is hard. Sometimes it can take up to 7 years, and those years are spent putting in often more than 50 hours of work per week. This is why a genuine love for your subject and for academic research is necessary to successfully complete your Ph.D.. If you find the hard work challenging and rewarding, then the Ph.D. in accounting may be right for you. But don’t go into it because you think you’ll like teaching: while opportunities to teach do come with a Ph.D., they are just a small part of your work as a doctoral student. The opportunities and earning potential that you will have as a Ph.D. in accounting graduate are another reason to consider getting a Ph.D.. If you like the academic environment and plan to stick around, or if you are already in a top position in your career, a Ph.D. can definitely be an asset. However, if you are just starting your career and would rather get some work experience, you could be earning more money faster if you go into business. Ph.D. graduates can indeed earn higher salaries than their industry counterparts, but this will happen much later on. In the meantime, you will be bypassing opportunities to gain experience as an accountant. When considering the time, money and effort investment, it all boils down to your career goals and your preferences. You are most likely to succeed if you have a good idea of why you want to earn a Ph.D., and if you enjoy research about accounting more than accounting itself. Where can you get a Ph.D.? A Ph.D. from an elite university can not only enhance your opportunities after graduation, but also allow you to conduct meaningful research with international experts. Here are the ten best places to get a Ph.D. in accounting in the U.S. The list is based on U.S. News rankings and the 2013 Public Accounting Report survey of the best doctoral programs in accounting. While tuition fees are listed, bear in mind that many Ph.D. candidates apply for studentships that cover tuition fees and include a stipend ranging from $13,000 to $30,000 per year. About: Consistently rated as the best in the country, the Ph.D. program at the McCombs School of Business allows Ph.D. candidates to specialize in a number of areas including financial reporting, auditing, management accounting and taxation. Students usually acquire one term of teaching experience and are encouraged to develop their research and writing skills. About: Accounting Ph.D. candidates at the Wharton School of Business are trained through coursework, research, conferences and workshops. This elite program has an analytical and quantitative focus, so applicants with a background in mathematics or microeconomics are preferred. Work experience in accounting is also an asset. About: This high-quality interdisciplinary program has a focus on using finance, economics, statistics and decision theory to identify the best accounting alternatives. Some areas of research include the link between accounting information and market behavior, information asymmetries, effects of regulations, productivity measurement and tax-induced problems. About: If your goal is to delve into the economics, finance and human behavior that constitutes the foundation of accounting, the Ph.D. program at the University of Illinois might be a good fit. Candidates will be trained in research methods and theory and will participate in research projects together with leading experts in the field. About: Known for significant contributions to accounting research and for publishing the Journal of Accounting Research, Chicago Booth is a great place to start a research career. You will be joining a group of active and experienced researchers in accounting, economics and finance that include some Nobel Prize winners. The program also stands out through funding opportunities and placement of graduates at elite universities around the world. About: The Ross School of Business prides itself on a Ph.D. program that will place you at the cutting edge of accounting research. High-quality formal teaching is complemented by a focus on research and an informal education accomplished by co-locating students and faculty members. You will have the opportunity to delve into the causes that drive economic and financial behavior and go on to advance the profession like many other program alumni. About: The PhD program at the Kenan-Flagler Business School offers a rigorous introduction to research and teaching. The first part of the PhD involves coursework, a comprehensive exam and writing an original research paper. The second half of the program is dedicated to research and completing a dissertation. Students must also serve as teaching assistants for one semester, as well as teach an undergraduate accounting course. About: The Ph.D. program at the University of Mississippi aims to provide students with the blend of accounting knowledge and research skills critical for success in accounting education. Candidates are required to study research design, research methods and accountancy practice, as well as statistics or a foreign language. They are also encouraged to keep track of advances in the field by attending conferences and reading the current literature. Admission criteria are strict, with the CPA credential as a pre-requisite. About: Ph.D. students at Foster School of Business can specialize in accounting, finance, management, marketing, operations management, technology entrepreneurship or information systems. Candidates also complete minors in research methods and one more relevant area. At least two years of full-time, in-residence study are required in order to ensure successful completion of the Ph.D..
About: Mays Business School prides itself on the number of successful graduates of its accounting Ph.D. program. The degree prepares students to conduct research, to guide others and to communicate their results. The faculty includes leading experts who also hold executive positions in the professional world. There are almost as many online accounting Ph.D. programs available as there are on-campus programs. Given the flexibility and independence of doctoral degrees, they are especially well-suited for distance learning. However, the main benefits of Ph.D. programs are the research expertise of the faculty you work with and the teaching experience you gain. An online degree will not provide you with the same academic connections and will not be as well-regarded once you graduate. On the other hand, if you already hold a good position in your career and are only interested in the qualification or the research itself, an online accounting Ph.D. will offer you the most in terms of flexibility. You will be able to complete the program at your own pace and you will not need to relocate. While some online Ph.D. in accounting programs can be affordable, many of them cost as much as their on-campus counterparts. What is more, some scholarship packages are only available to on-campus students, so you might need to consider alternative funding sources. With over 500 accounting professors retiring every year and just around 150 new Ph.D. graduates annually, the future is bright for students considering a Ph.D. in accounting. The lure of private practice and the large proportion of international students returning to their countries mean that the numbers of Ph.D. accounting program graduates seeking academic accounting positions remain low. As a consequence, accounting faculty salaries continue to grow and the shortage of accounting professors is nowhere near being solved. The number of schools offering doctoral degrees in accounting is diminishing and scholarship packages are available to encourage applicants (such as the Accounting Doctoral Scholars program set up in 2008). 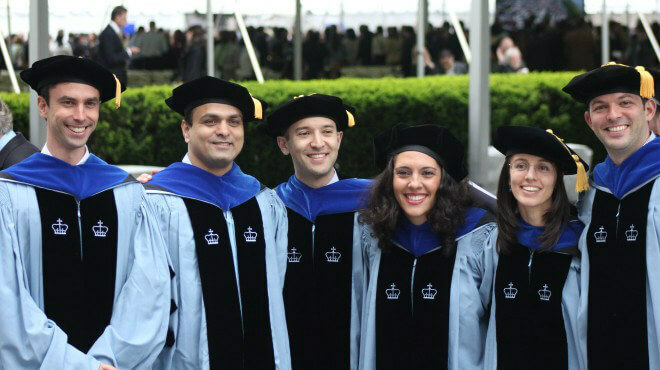 If an academic career suits you, this is a good time to start your Ph.D.. While this career path has its own challenges, a Ph.D. in accounting still means what few other disciplines can guarantee: strong job prospects at the end of the degree.